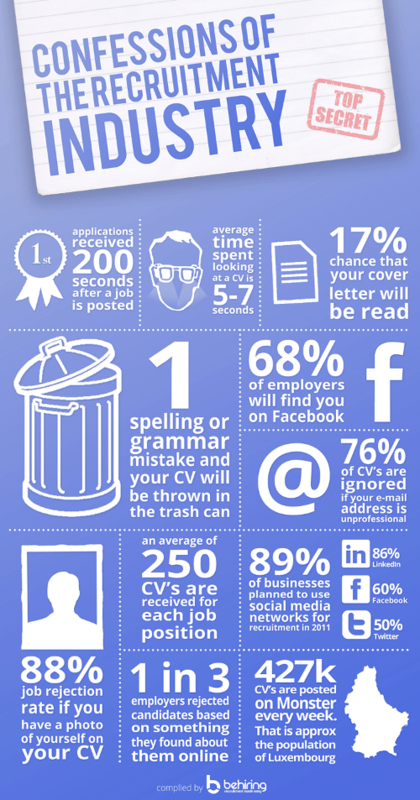 Recruiters spend on average 5-7 seconds looking at a CV…. It’s stats like these that are scary for jobseekers but you forget that the recruiter has a very trained eye and know exactly what they are looking for. Related: What Happens To Your Resume When You Apply for Jobs Online?